People love the end of the year because it's the time where most of the public holidays of the entire year fall on. In the blink of an eye, we have Christmas, then New Years, and then for the chinese... we have Chinese New Year ! 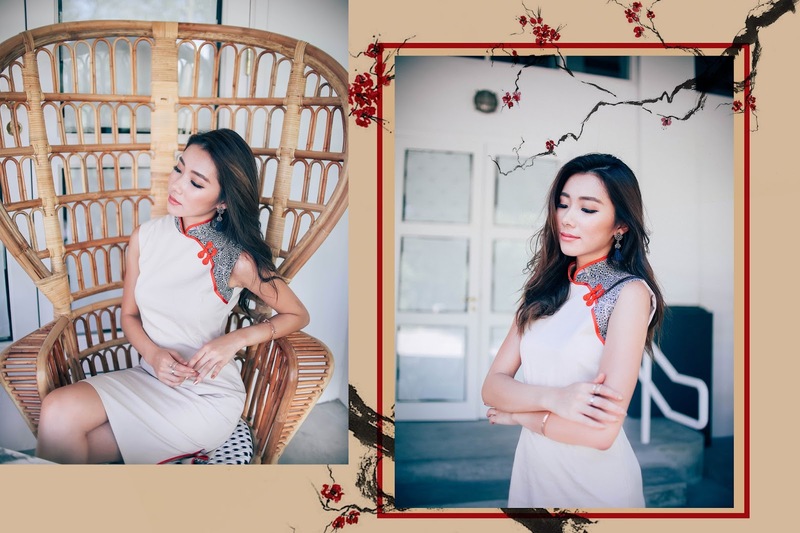 My personal favorite thing about CNY is not only the food and goodies (yum, Bak kwa) but also it's the only time of the year I get to put on a good qipao (cheongsam) and be all girly and feminine. For my non-chinese friends reading this, "qipao" is a chinese word for the traditional chinese costume that usually features a very feminine body hugging cut with the iconinc chinese knot buttons. Over the years, our traditional "qipaos" have also revolved with lots of trendy and mordern designs with other influences on the market. But for me, I still prefer the plain ol' classic design like the one I have on right here from Littleqipao. 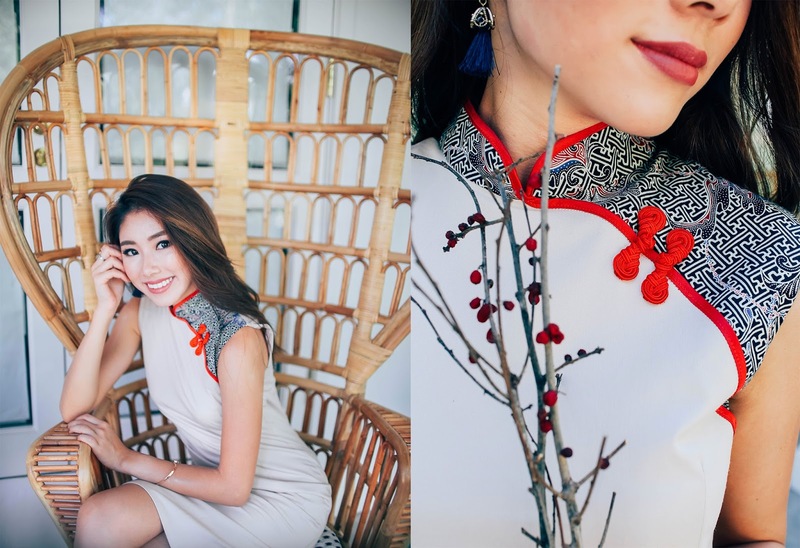 Little Qipao is a local online boutique that brings in, and makes qipaos in many different designs and cuts. They even have matching one for your little ones (kids, toddlers and babies) , and also caters to the male crowd as well! I'm wearing the Qipao With Batik Design (Ivory) , this piece is so comfortable and luxurious to the touch. Made from imported premium cotton rayon poly yam dyed satin, it is double lined but yet remains cooling for our humid weather. I chose the Ivory color because I thought it really brought out the femininity of this piece. 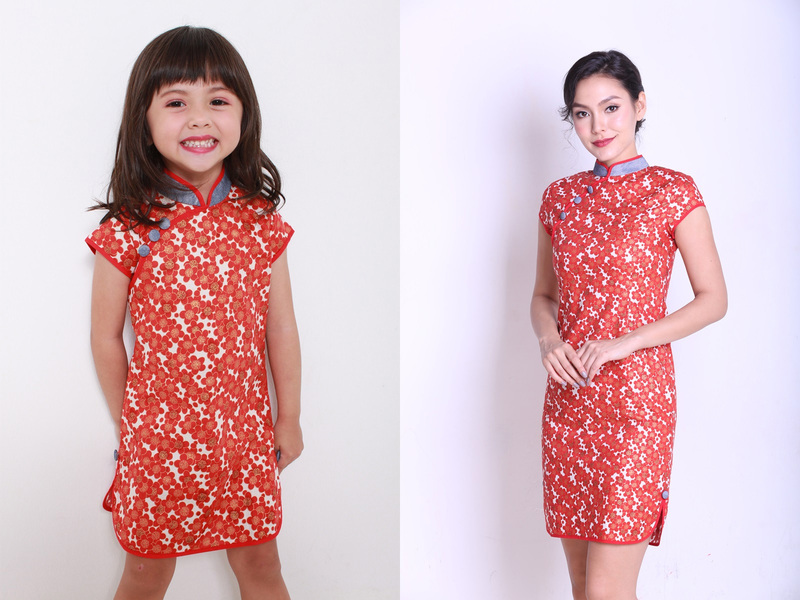 But if you're a fan of brighter, bolder colors, Little Qipao has it in Red as well. Omoooo ~ check out these matching sets! If I had a child right now I would definitely dress her in matching qipaos and be the talk of the town at visitations!